if they do work out a deal — and this is the crucial part — it doesn’t have to include nearly as much in the way of revenue increases as a liberal president would normally prefer, because taxes are already scheduled to go up. Republicans are being intransigent on taxes in these negotiations for ideological reasons, but also because they know that if Obama is re-elected (which is more likely than not), they won’t be able to block tax increases: With a non-stroke of the pen, he can just let the Bush tax cuts expire — for the rich, or even for the middle class as well. This is the trump card that liberals carry into all these negotiations. If we just do nothing on taxes except let the “current law baseline” run its course, their preferred vision wins. I agree with this, but with two important caveats. First, letting the Bush tax cuts expire. I've been advocating this course of action for months. 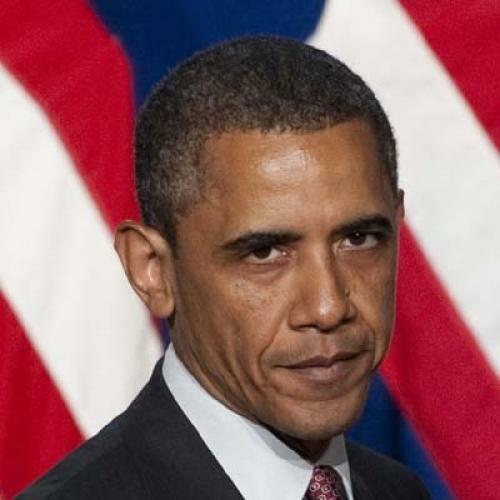 If Obama wins reelection, he can refuse to extend any tax cuts on income over $250,000. That will prompt Republicans to refuse to extend tax cuts on any income under $250,000 (as they signaled last December, and in keeping with their longstanding priorities, which deem the middle class tax cuts mere sweetener to get the tax cuts for the rich they really want.) Then the tax cuts expire while Obama blames Republicans for holding the (popular) universal tax cuts hostage to the (unpopular) tax cuts that only benefit the rich. A combination of spending cuts now, gaining bipartisan credibility, winning reelection, then a tax cut showdown would be the ideal scenario. However, it depends on Obama winning reelection, which is far from assured. More importantly, it depends on Obama actually carrying out this plan. Will he? He should, and it's the best and easiest way to fulfill the administration's policy goals. And if it is the plan, the administration clearly shouldn't signal its intentions (why admit that you secretly want Republicans to block middle class tax cuts when you need to credibly pin the blame on them)? Still, my confidence in Obama's ability to execute aggressive political strategies is diminishing. According to the government’s official forecasts, discretionary spending is already slated to shrink significantly. Military spending will fall by 25 percent, as a share of the economy, over the next decade. Domestic programs will shrink even more, and by 2021 they will account for their smallest share of the economy since the 1950s. I’m guessing you haven’t heard of these plans, however. That’s probably because plans is a bit of an exaggeration. Assumptions is a better word: per Congress’s orders, the baseline budget numbers unrealistically assume that future discretionary spending will grow only with inflation, rather than with population growth and economic growth, too. And the scale of the cuts could do real damage. They could jeopardize food safety, highway quality and F.B.I. investigations. They could hurt the poor at a time when unemployment remains near a three-decade high. They could undermine education and scientific research, the best hopes for future prosperity. Now, you can certainly find programs within the domestic discretionary budget that should be eliminated. But, overall, domestic discretionary spending ought to go up, not down. I understand that Democrats aren't likely to have the opportunity to restore fiscal integrity entirely on their own terms. They wouldn't be able to do it even if they regained control of the House and a filibuster-proof Senate majority -- their caucus is just too fractious and risk-averse to do it without bipartisan cover. At the same time, the risk of Obama acceding to some dreadful policy choices is real and worrisome. Negotiating a bargain that does only minimal policy damage would be a feat.